With about two months before the release of Jump Force, there’s still plenty of time for more character reveals. The newest character also brings an all-new series into the fold. Asta, the main protagonist of the popular Black Clover, is the latest anime/manga star who will be joining the roster. The announcement was made in the newest issue of Weekly Jump, which means there are no official screenshots or trailers just yet. The reveal of Asta follows a similar pattern to the most recent reveals of characters from Dragon Ball and Rurouni Kenshin. They were first announced through one of the various Shonen Jump anthologies. These were then followed by official reveal trailers and screenshots. With that, we should see an official reveal for Asta soon. If for some reason you’re not aware on what Jump Force is, it’s a fighting game made to celebrate Shonen Jump‘s 50th anniversary. It brings together some of the most iconic characters featured in the long-running anthology, from Naruto to Hunter x Hunter. In addition to these manga mainstays, you’ll also be able to create your own character to brawl with. 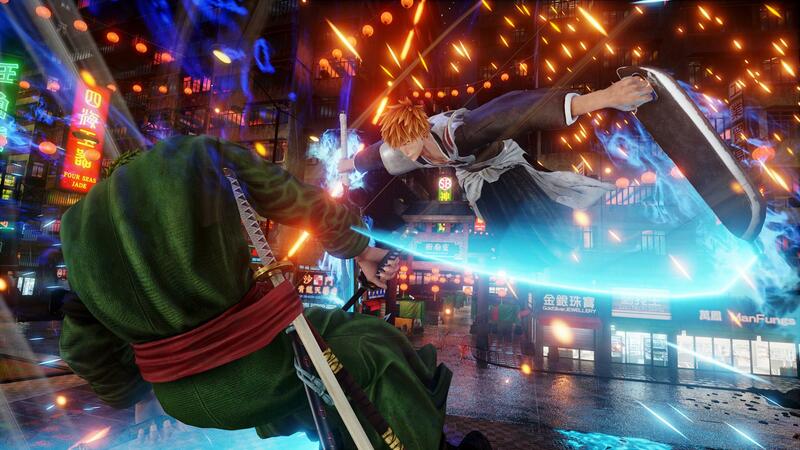 Jump Force features 3-on-3 fights that allow you to form varying combinations of your favorite manga characters. In case the proceedings aren’t insane enough, Jump Force deals with these characters being brought into the real world. Jump Force will be released on February 15, 2019. However, if you want to play it a little early, keep your eye on the Ultimate Edition. Preordering it will give you a few days of early access, and not just for the game itself. You’ll also be the first to try out each DLC character when they release.